View More In Remote & App Controlled Vehicles & Parts. Forget racing cars video games, Play a real experience mini off-road toy car. Enjoy playing and drive it using the remote controller, let it run on a full-speed level easily. 1.Enjoy miniature off-road toy car, much fun compared to 2WD series. 2.It has 2 rechargeable batteries. 3.Responsive and Strong connectivity remote control, works up to 100 meters distance ranged. 4.The car can be operated smoothly with flexibility, let the two front wheels rotate freely in any angle. Made with durability, this toy car designed with high resistance features and reliable materials. Wheels are made from durable and elastic rubber materials, to survive rugged usage on any types of ground surfaces. Anti-Slide spike Tires; The tires made with strong and stable holds spike to help assist the car runs smoothly on wet, loop, unstable surfaces of the ground whether on soil, grasses and concretes. The body casing of this toy car was made from a durable PVC plastic materials as well as the thick chassis in it. When the car bumps unexpectedly you don’t need to worry, just go on and enjoy your playtime. To maintain the stability condition of the battery, please remove it from the toy car when charging, otherwise, it can damage the battery lifespan. Please control the car according to our user manual to avoid the hurt caused by the inappropriate control. Heavy Duty Wheels: It has durable and well-designed tires spikes and wheels to provide high speed and stable running performance. It can be moved by the motor smoothly which is supported by bouncing spring materials to enhance performance. Strong Shockproof Resistance: The four wheels consist of bouncing spring materials which give support to unexpected dropping and the unstable surface of the ground, make you enjoy the toy car for a longer period of time. Powerful Speed: The Distianert Electric toy car designed with durable, strong and powerful components to provide you the realistic racing and off-road game experience. It has the speed of 30 MPH powered by most powerful mini sports toy car Motor. 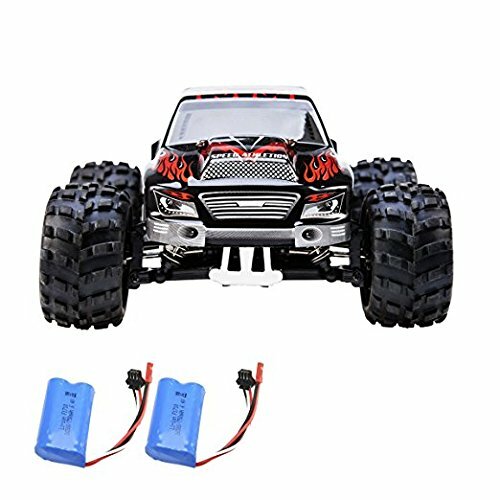 This will be a great mini off-road toy car specially made outdoors entertainment at the park, beach and camping activities. Powered with Rechargeable Batteries: Using the original battery on fully charged condition it will last up to 10-15 minutes on a non-stop operation, plus we include extra Battery to extend your playtime. Responsive Controls: This miniature off-road car designed with accurate and full control that can be easily drive by your hands. It has a strong turbine to provide stable performance on any terrain, grass landscape, sand and concrete ground. Manufacturer: Wuhan First Dream Land E-Commerce Ltd. Publisher: Wuhan First Dream Land E-Commerce Ltd. Studio: Wuhan First Dream Land E-Commerce Ltd. If you have any questions about this product by Distianert, contact us by completing and submitting the form below. If you are looking for a specif part number, please include it with your message. © 2019 - gamedrivesave.com. All Rights Reserved.